AN AMAZING BERRY, THE BLACK RASPBERRY!! Black Raspberries, also known as Black Caps, are native to North America and can be found in many forested areas, open fields, along fencerows, and cultivated on farms and in gardens. They are grown commercially as far away as Korea. But the fruit has captured the creativity of others besides simply growing them for eating. Interestingly, for many years, the juice of the black raspberry was used to stamp meat with the USDA symbol of approval. But their main attraction is their fantastic flavor, especially fresh from the bush or, failing that, in a frozen packet. A powdered form can be found in health food stores. The plants are very easy to establish and will grow in virtually any soil type with little care. The varieties that are grown by Hartmann’s Plant Company are Jewell, Pequot Lakes; and the only successful ever-bearing variety—Ohio’s Treasure. We have chosen to grow these varieties for their fine flavor and high yields. They have a small seed and are in season through the month of July in most places. Black raspberries are seldom found in the fruit displays in grocery stores because of the shorter shelf life of the delicate and juicy berries. Anyone who has had the opportunity to experience the taste of our black raspberries would prefer to eat one of them before eating a red raspberry because the sweetness and smooth texture of the fruits are simply sensational. They literally melt in your mouth, unlike any other fruit. Beyond their incomparable taste, there are numerous health benefits to be derived from eating black raspberries. 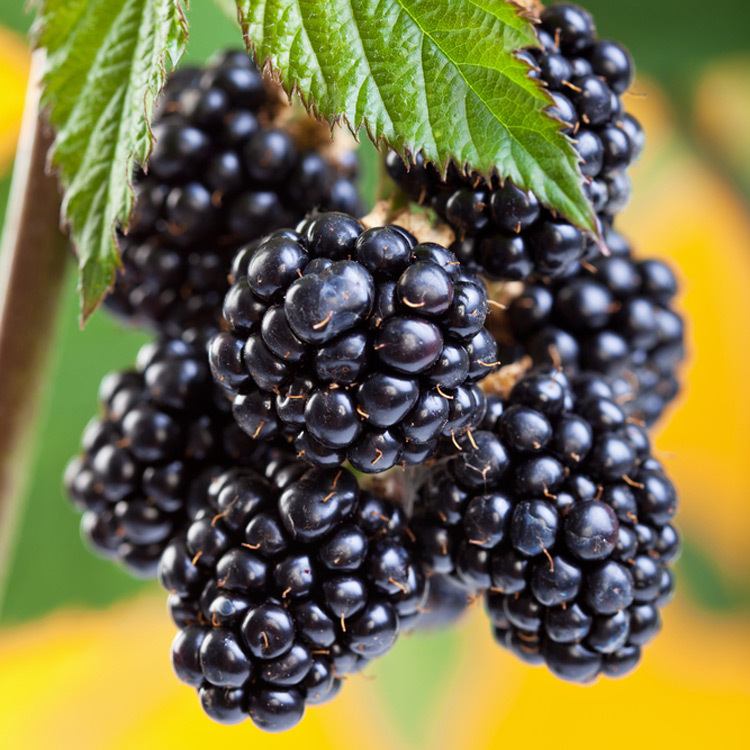 According to the Oregon Raspberry and Blackberry Commission: “Recent testing has confirmed that black raspberries have astonishingly high antioxidant levels. Antioxidant levels, shown in terms of their oxygen radical absorption capacity (ORAC), are a measure of a substance’s ability to absorb oxygen free radicals. Oxygen free radicals can damage DNA, cause cellular change, oxidize LDL cholesterol, and cause premature mental aging. Consuming foods high in antioxidants helps prevent cancer, heart disease, stroke, and possibly Alzheimer’s Disease. When compared to other foods, black raspberries have extremely high ORAC values. They are also among the highest foods in anthocyanins. Anthocyanins give foods like black raspberries their deep, dark color and have been shown to have anti-inflammatory and vasoprotective properties. Research has linked anthocyanins with improved vision, cardiovascular health, memory retention in old age and reduced risk of hypertension.” Research has shown the efficacy of black raspberries in the treatment and prevention of Barrett’s esophagus, a condition brought on by GERD (acid reflux), that can lead to esophageal cancer. Black raspberries and freeze dried black raspberry powder blended with soy milk or blueberries can fortify resistance to several diseases and provide a refreshing drink or healthy lunch/snack substitute. In sum, there are many reasons for you to grow these black gems, just 1 plant will yield 4 pounds of nutritious fruits!